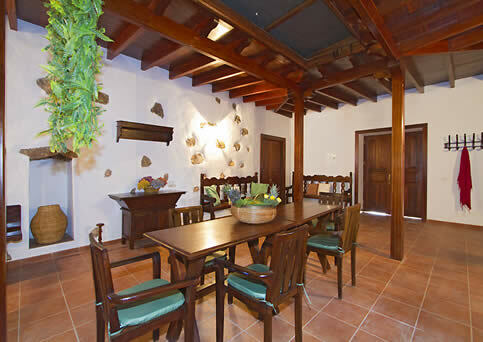 Wonderful typical canarian house from the nineteenth century, which has been restored respecting the original architecture and decorated in a rustic style. Each of these apartments has a kitchen,living room, fully equipped. The kitchen is equipped with ceramic hob, oven, microwave, double fridge, coffee maker, kettle, toaster, iron, ironing board and full kitchenware. 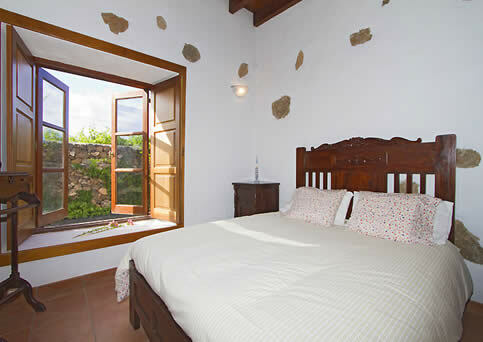 The rooms have flat TV screen, DVD and satellite channels. The common area has a landscaped pool (9 x 4 m.) and a barbecue area with terrace furniture. 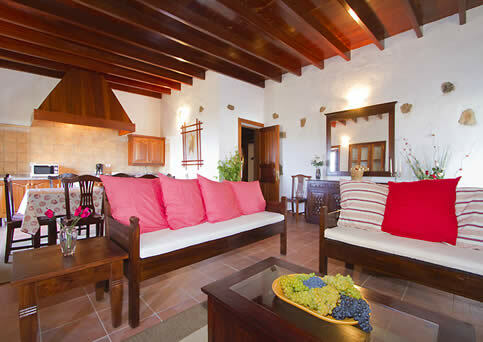 Located in the quiet area of ​​Teseguite, surrounded by 35.000 m2 dedicated to growing grapes surrounding the large canarian patio with a wooden roof. This is one of the common areas, where you can enjoy your time reading and or chat while having a cup of coffee.